DALLAS - A 3-year-old boy left behind in a hot car in a church parking lot died Sunday amid a brutal nationwide heatwave. 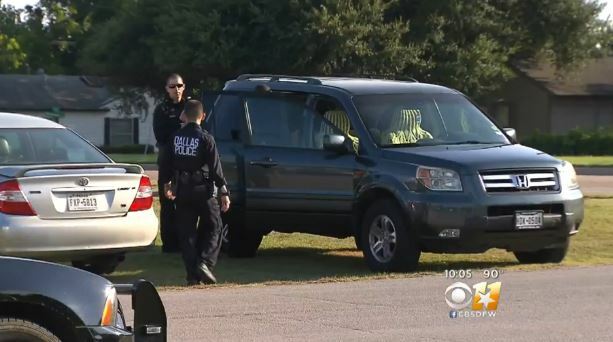 CBS Dallas reports the incident took place at Rehoboth Praise Assembly in East Dallas Sunday afternoon. Earlier the family was inside attending an afternoon service when a fellow church member said they realized the 3-year-old was missing. The next thing the congregation knew, the father brought the little boy into the church from outside, but it was too late. Detectives looked over the family's SUV still parked outside the church where Sunday services had a tragic interruption. "We didn't know. We didn't see. He just bring into the building inside, and we saw it and get the people, we need to help and call 911," church member Reng Om said. Om was attending the afternoon service when he said it came time for the children to leave the kids' room where they were having bible study and join the adults. "Every kid comes out to the main service room, and they would read the bible and singing, and they would go back into that room," Om said. That's when the parents of the little boy realized he wasn't with their other four children, so they began searching for him. Police said they got the call from firefighters after the boy was left inside the family's vehicle outside the church. Om said it was a relative of the family who called for help after the father came back inside carrying his son. "He was very... looked like bad. He was grabbing his kid, and the kid would not move, and, 'I need somebody help, call the police,'" Om said. Police have released few details about the case. They said this remains an active investigation. Officials have been warning of hot car deaths of infants and children as the summer heat grips the nation. Last week, a 4-year-old girl in Pennsylvania died after being forgotten inside a car.